"A Fenwyke! A Fenwyke!! A Fenwyke!!!" Was never heard without vast troops of resisters flocking round their standard. MISS FENWICK CURSE PART I ? Ghost & Headless Horseman at Fenwick? A secret tunnel? On February 27, 1970, the Columbia Philharmonic Orchestra performed the Symphonic Overture: "THE LEGEND OF FENWICK" composed by Robert Igoe Blanchard. Bob took the story about Fenwick's daughter and the headless horseman and wrote a piece for orchestra. He wrote the overture in 1958 while in Washington, D.C. and grew up at Fenwick. The overture was first performed by The National Symphony Orchestra in Washington, D.C. (he actually directed it too) and again in Charleston by the Charleston Symphony Orchestra. 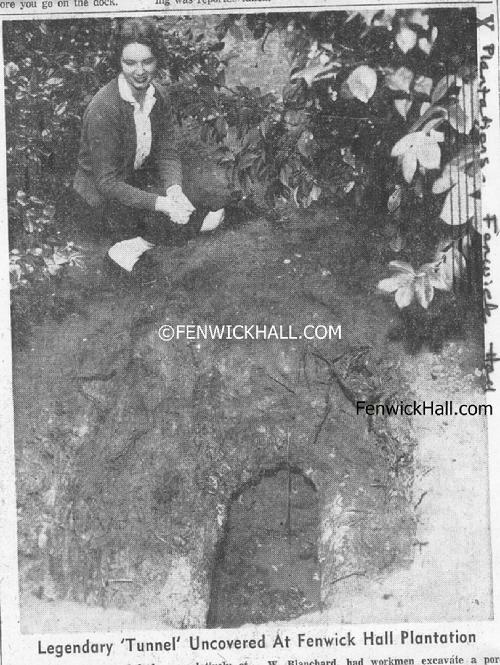 Ann Fenwick's lover is the 'Headless Horseman' seen for over 200 years on John's Island (seriously). "The Legend of Fenwick Castle"
The Hanging Tree--Legends call is "John's Tree" after John Fenwick. 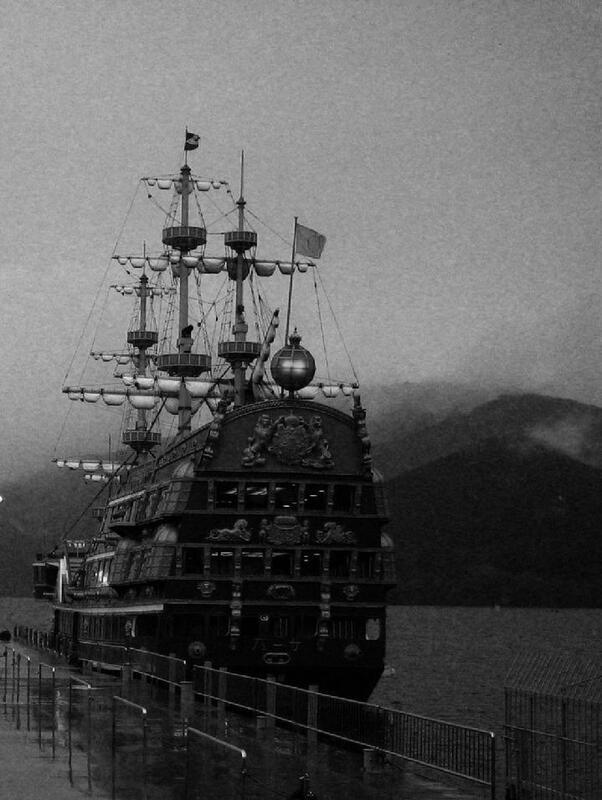 Pirates & A Secret Tunnel? Yes,It's True! Secret Tunnel? 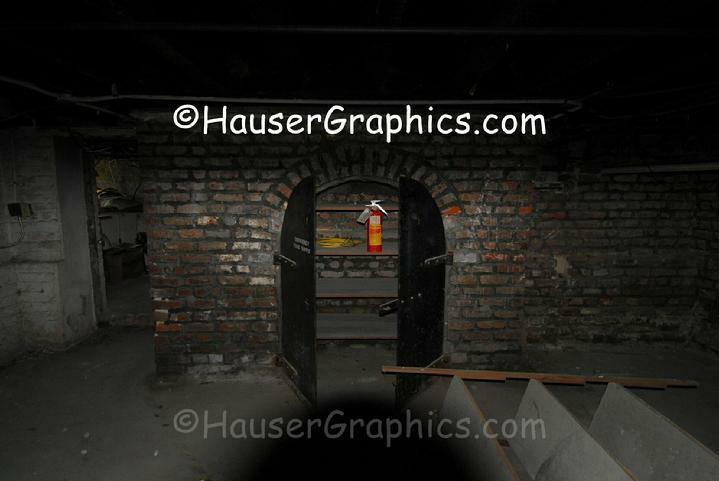 There was a secret tunnel in the tall basement (basement begin as s fort in late 1600's,early 1700's!) but is now all sealed off and the secrets closed up with it. 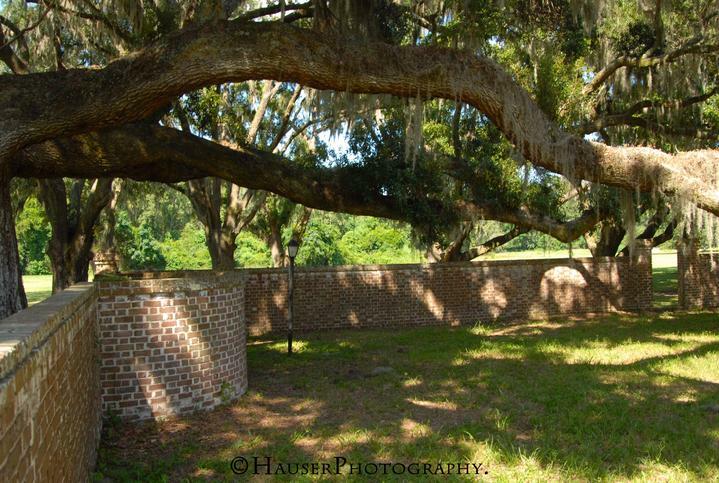 The tunnel led from Fenwick Hall to the Stono River. What was the tunnel used for? Did the Fenwick's use it to hide their pirate treasure stash (yes, there were pirates in Charles Towne)? Was it used to escape from either the British Army or American Soldiers during the Revolutionary War? (The Fenwicks flipped allegiances during that war). Was it used to hide personal belongings from the different military troops that merged on Fenwick Hall? What about during the war between the states? Want more scoop on the secret tunnel? I remember Bob Blanchard told me years ago that they had a photo showing where the tunnel opening was in the basement, but I never got to see it. Also, Bob's sister, Helena, told me that a section of the tunnel collapsed many years ago during a very rainy hurricane between the main house and the Stono near the pool house. That validates the existance of the tunnel. Pirate Ann Bonny at Fenwick? More to come..
2009. Fenwick Basement Window Lookout with secret tunnel. At one time, there was a water well in the basement that served the house and troops that overtook the plantation during various wars. 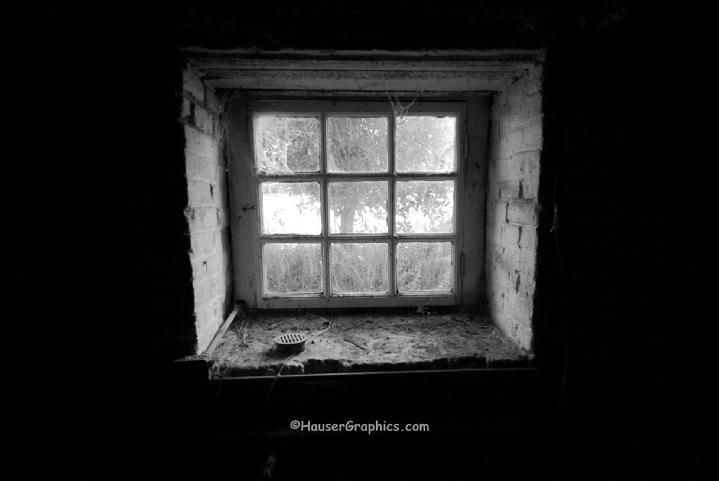 These windows first served as lookouts for indian attacks. Photographer John R. Hauser. 1950'S Tunnel uncovered. Helena Blanchard checks out her tunnel. "My aunt Annie used to tell us stories about her and her brother 'Hubba', my grandfather, spending the night with their Aunt Nellie and Uncle Claude's Fenwick Hall. She said the woud go to bed and hear all kinds of commotion downstairs, but they would go look and no one would be there. In the mornin, when the would go down for breakfast, all the furniture would be completely rearranged. They would move it back and the next time the same thing would happen. They finally just left the furniture where the 'ghosties' put it. Aunt Nelly said 'Well, they live here too'". Fenwicks, a family of Pirates? Yes! 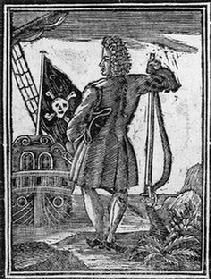 John Fenwick's brother, Robert Fenwick was a pirate. 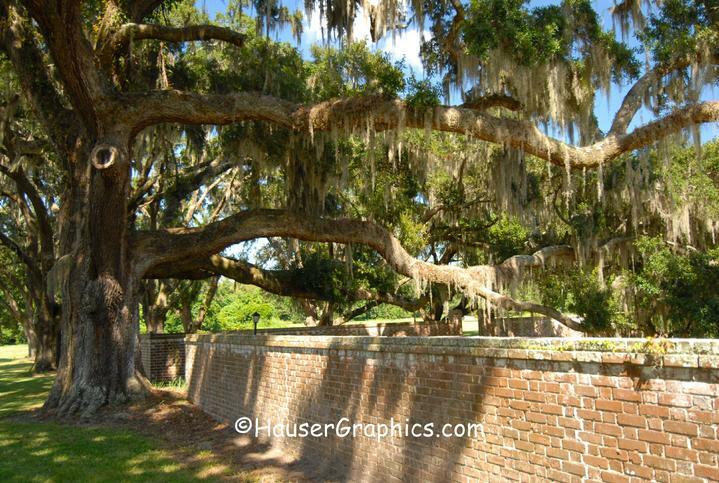 He arrived in Charleston on the privateer, Loyal Jamaica, in 1692. The ship dropped anchor behind Sullivan's Island. Robert Fenwick was the first of the Fenwick's to appear in S.Carolina. After his pirate days as a Red Sea Men, Robert settled down and became a citizen of Carolina. In 1694 he was the grantee of certain lots in Charles Town. Legend says these pirate arrived in Charles Town with a vast quantity of gold from the Red Sea. Robert Fenwick, Pirate, year 1700. Art courtesy Sea Dog. After Fenwick Hospital closed in 1995, the mansion was purchased by private individuals, who made extensive renovations to Fenwick Hall. Today, the private residence has had much of its former grandeur restored. Even two of the mansion’s ghosts are still there. 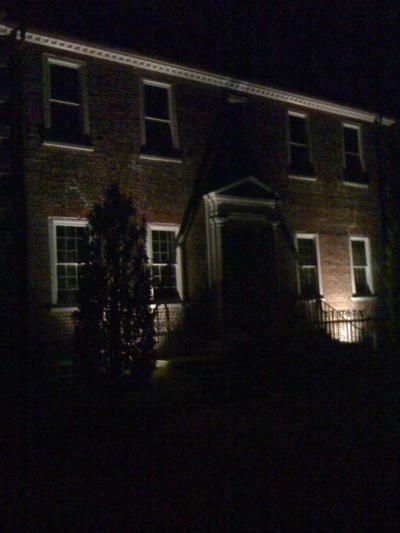 In a second version of the tale, Tony himself haunts Fenwick Hall Plantation. According to some people, Tony’s body was jerked so violently off his horse that the noose ripped off his head. For years, his headless corpse has been riding through marshes, searching for his lost love, or, perhaps, for his head. 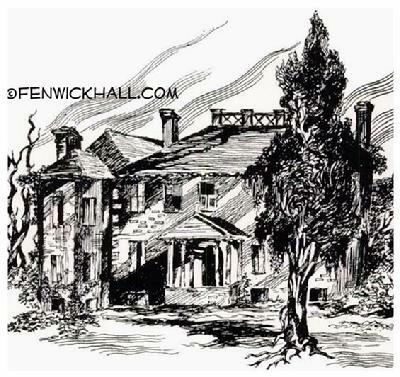 Many residents of John’s Island claim to have seen the headless horseman of Fenwick Hall on moonlit nights. Fenwick Hall Plantation’s rural ambiance may be gone forever, but the tragically romantic legend of Ann Fenwick’s illicit love for her groom is likely to persist for years to come. 2009. The Fenwick Legend continues today. Photographer John R. Hauser. Carmichael recalls the tale of the headless horseman that haunts Fenwick Hall. The story starts in typical fashion: privileged girl (Ann) falls in love with stable boy (Tony), father disapproves, couple elopes — how very Romeo and Juliet of them. But then it gets a little more atypical. The couple was quickly discovered by the outraged father, who along with his crew, tied ropes around Tony's neck and placed him backward on one of the horses. Ordering Ann to whip the horse, she essentially hung her husband. Distraught with grief, Ann never fully recovered. Guests at Fenwick Hall have reported hearing footsteps and cries from Ann, while others claim to have seen a headless horseman riding through the marsh. Cornwallis--he camped out at Fenwick! Photographer John R. Hauser. Claude says: October 30, 2008, 9:47 am I have lived in Charleston over 53 years and spent much time at Fenwick Hall Plantation.Saw and heard many unexplained things such as a statue becoming life like, turning it’s head to stare at me. Also many sightings of a headless horseman roaming the grounds, who is suppose to be an Irish stble boy who ran away with Lord Fenwick’s daughter and Lord Fenwick caught them and had her slap the horse to hang the stable boy who was beheaded.She never left the house and supposively died of a broken heart.Of course she inhabits the house now. I believe. 2009. Savannah looking toward Fenwick Plantation from Stono River. Photographer John R. Hauser. 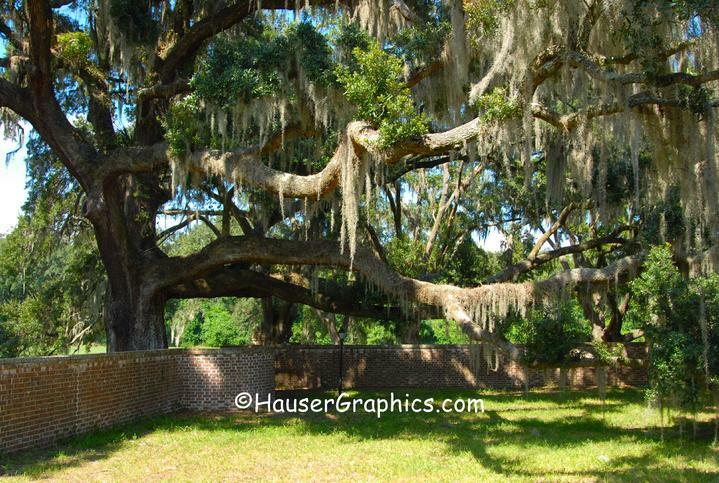 In the years before the American Revolution, Lord Edward Fenwick built a beautiful estate in the Low Country. A masterful horseman, Lord Fenwick took a great interest in the running of his stables -– and, tragically, his daughter Ann took a great interest in a handsome stable hand. Ann naively asked her father if he would agree to her marrying the young man; her father protected her honor by beating the stable hand and having him sent away. Love being the resilient thing it is, the stable hand returned to Fenwick Hall and persuaded Ann to elope. The two found a priest who married them, then they set off for Charleston. They came to the Ashley River at night and couldn't find a ferry to take them across -– that's where they were caught by an enraged Lord Fenwick. The stable hand was hung, and Ann was returned to Fenwick Hall where she lived out her short life pining for her husband. She has been seen wandering the grounds, lamenting her loss; some say they can hear her softly crying out the name of her beloved. 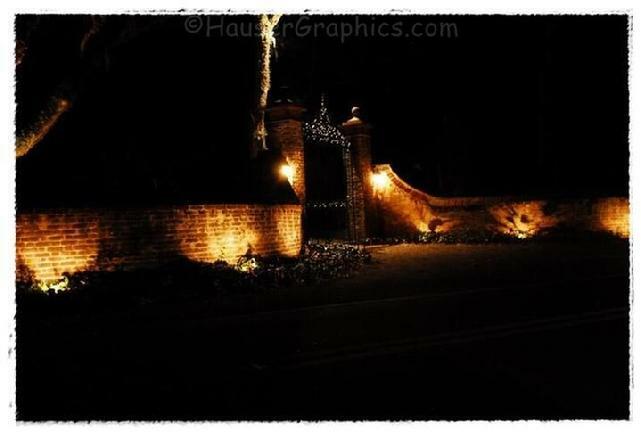 Gates of Fenwick glistening at Night 2009. Photographer John R. Hauser.